The 2018 World Cup in Russia will not be Lionel Messi’s final appearance in the global tournament, Argentina coach Jorge Sampaoli said in Moscow. Messi, a five-time Ballon d’Or winner, is 30. The FC Barcelona superstar is “very thrilled with the possibility of starting a new tournament that puts him in a suitable place,” Sampaoli said on Friday, stressing that it will be Messi who decides when to call an end to his international career, Efe reported. “I do not think this will be his last World Cup,” Jorge Sampaoli said of his captain after announcing the starting 11 for Saturday’s World Cup opener against Iceland in Group D match at the Spartak Stadium. The roster offered no surprises, with Willy Caballero in goal, Eduardo Salvio, Nicolas Otamendi, Marcos Rojo, and Nicolas Tagliafico on the back line, Javier Mascherano and Lucas Biglia in midfield, Messi, Angel Di Maria, and Maximiliano Meza ahead of them, and Sergio Agüero as lone striker. 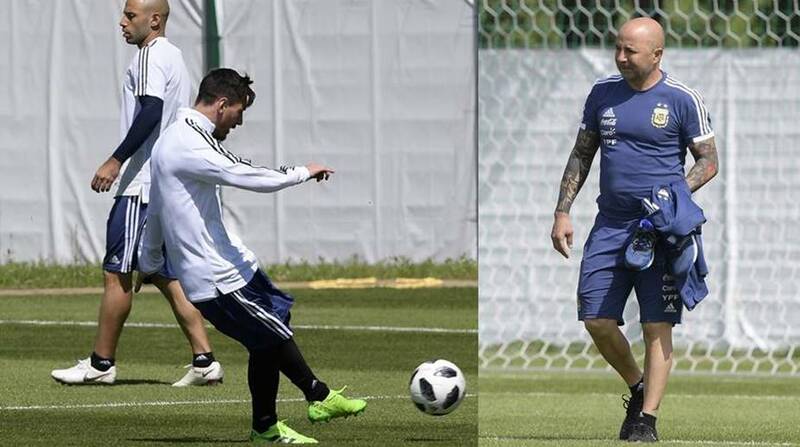 Iceland, making its first-ever appearance in the World Cup, could pose a threat on the counter-attack, Sampaoli said. Argentina have been without a major trophy for a long time now. It last won the World Cup in 1986 when the legendary Diego Maradona single-handedly carried them to the title. Their last major trophy came in 1993 when they won the Copa America. The Argentines will be keen to make up for the bitter disappointment of the 2014 World Cup when they were upstaged by the Germans in the final. As has been the case since the 2006 World Cup, Messi will be the centre of focus for most Argentina fans. The dimunitive FC Barcelona star has struggled to reproduce his club form with the national team.